Michael Phelps started training at the age of 7, but his coach knew habits—not skills alone—would be the driver of his success. So, Phelps’s coach built a series of activities before every race designed to give him a sense of building victory. On the day of the race, he gets out of bed, eats certain things, does specific stretches and exercises, he thinks about certain things. By the time the race arrives, Phelps is already more than halfway through his unconscious habits and the pattern he lives by on a daily basis. That way, the race itself—and winning the race—is just another step in Phelps’s laundry list of things to do. He’s made winning a habit. Typically we think of the Spring Feasts as a time to remember – the Exodus and Yeshua’s death on Passover, his resurrection on the Feast of Firstfruits, the giving of the Torah and the Holy Spirit on Pentecost. 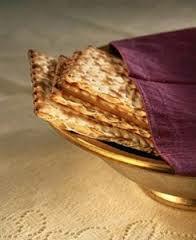 Then, we think of the Fall Feasts as a time to anticipate – Yeshua’s return on the Feast of Trumpets, the Lamb’s Book of Life opening on the Day of Atonement and tabernacling with Yeshua on the Feast of Tabernacles.